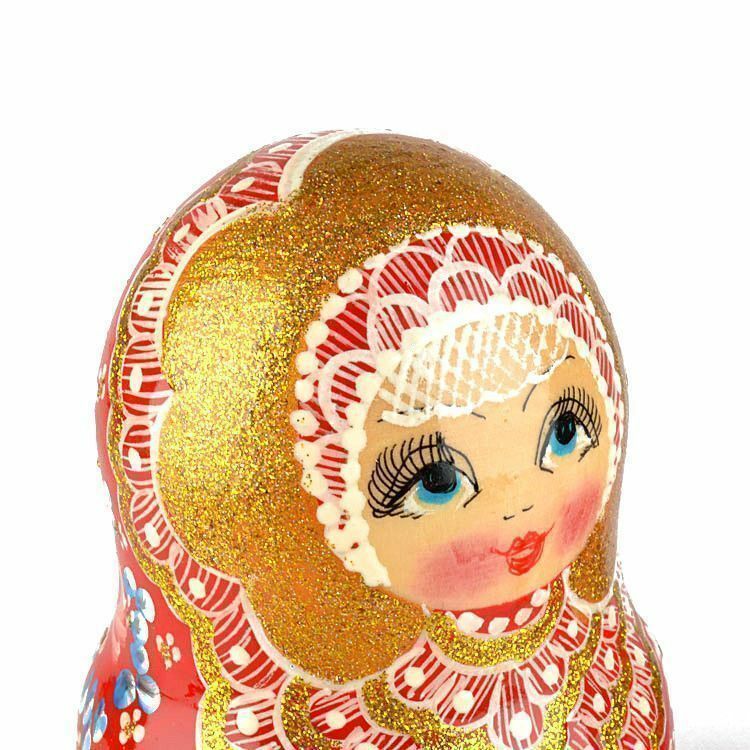 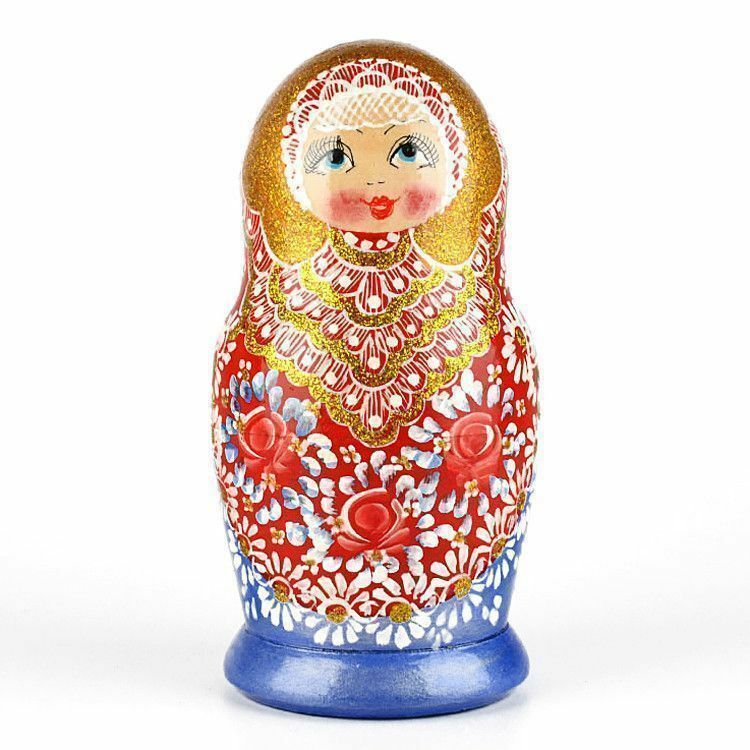 This red, blue, white, and sparkly gold kokoshnik (Russian headdress) wooden nesting doll was wonderfully hand-crafted in Russia. 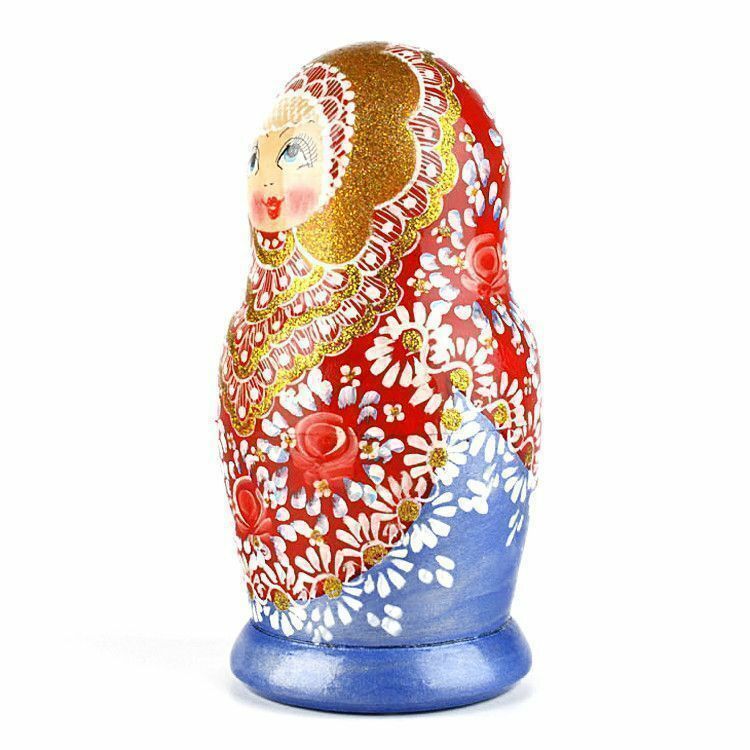 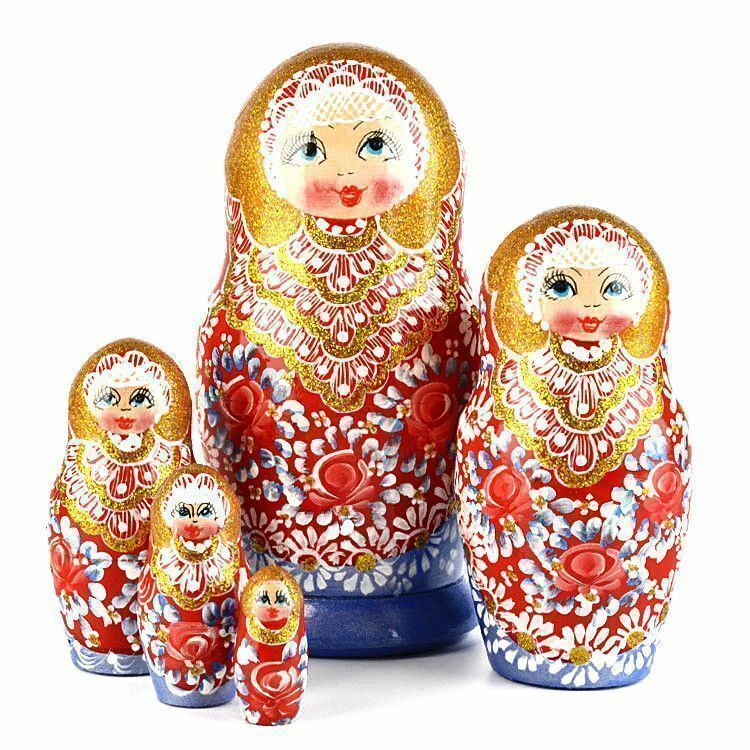 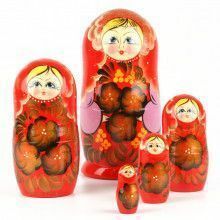 This matryoshka is about 7" tall and would make a very unique accent piece for anyone's home or office decor. 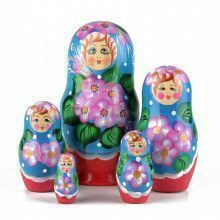 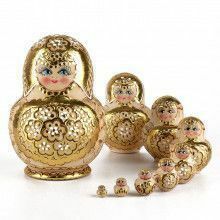 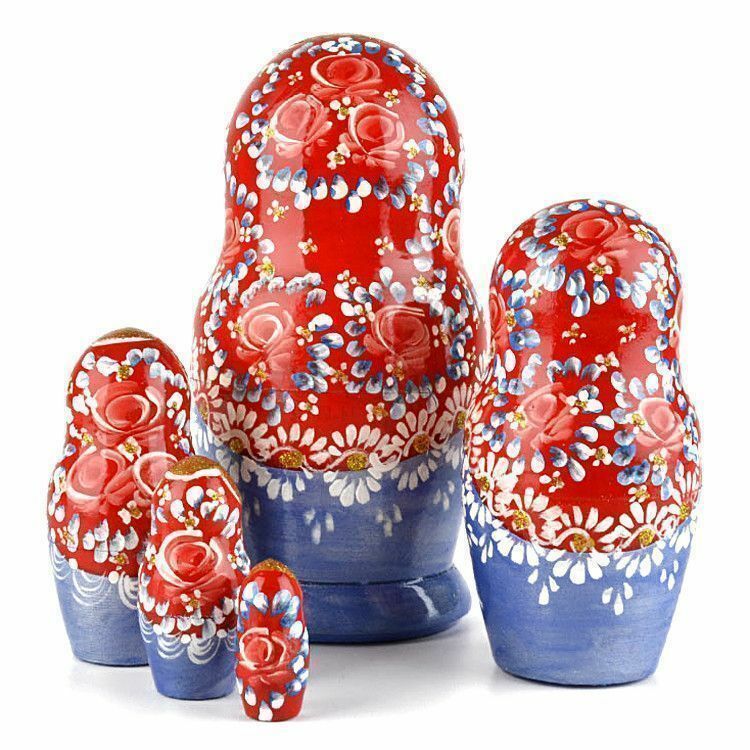 All nesting dolls are a joy to own at any age and this beautiful sparkly nesting doll is no exception.